If any of these restraining orders is violated, the noncomplying party may face harsh penalties from the court. ATRO’s fall into four basic categories: (1) minor children, (2) insurance coverage, (3) all property, and (4) instruments, other than wills, which transfer property upon death. Pursuant to the ATRO’s, upon filing for divorce in California, neither spouse may take a minor child of the marriage outside of California. However, if the child is already residing out of state, the parties are not required to return him or her to California. If you or your spouse have filed for divorce and you wish to take your child out of state for a vacation or to visit family, you must get written permission from the other parent or a court order. In order to maintain the “status quo” of the parties during a divorce, the ATRO’s require that neither party cancel important insurance policies such as health insurance. Divorces can take months or even years to complete. During that time, the parties may be uncertain about future requirements to become employed and their monthly income. This restraining order ensures that all health insurance and car insurance policies remain intact during that time. Although parties may be tempted to begin moving around and liquidating assets after a divorce is filed, this is strictly prohibited by the ATRO’s. Spouses are required to maintain the “status quo” and refrain from transferring or selling any property during the pendency of a divorce. There are only two exceptions to this restraining order: (1) usual course of business and (2) necessities of life. In rare circumstances, a spouse may transfer or sell property as long as it is not out of the ordinary or done in order to provide necessities. It is important to note that both separate property and community property are restrained. Spouses may not create or change existing “non-probate transfers”. 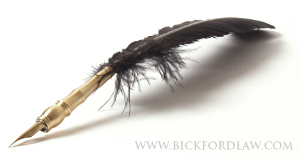 A non-probate transfer is an instrument, other than a will, that transfers property at death. Most commonly, this restraining order refers to trusts. 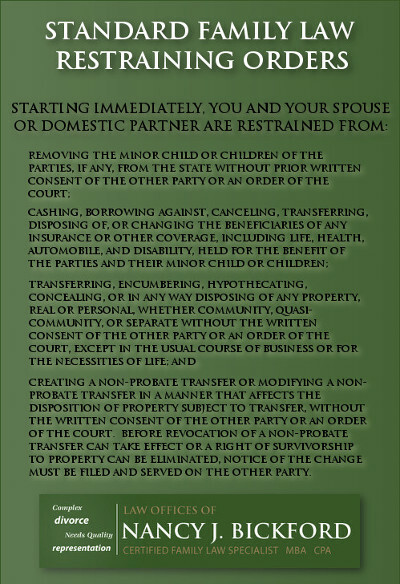 However, spouses may enter into written agreements or seek a court order to make changes. Automatic Temporary Restraining Orders is a complex area of family law. Violation of these orders is taken very seriously by San Diego Family Court judges. It is advisable to consult with an experienced family law attorney if you have any questions on this matter.